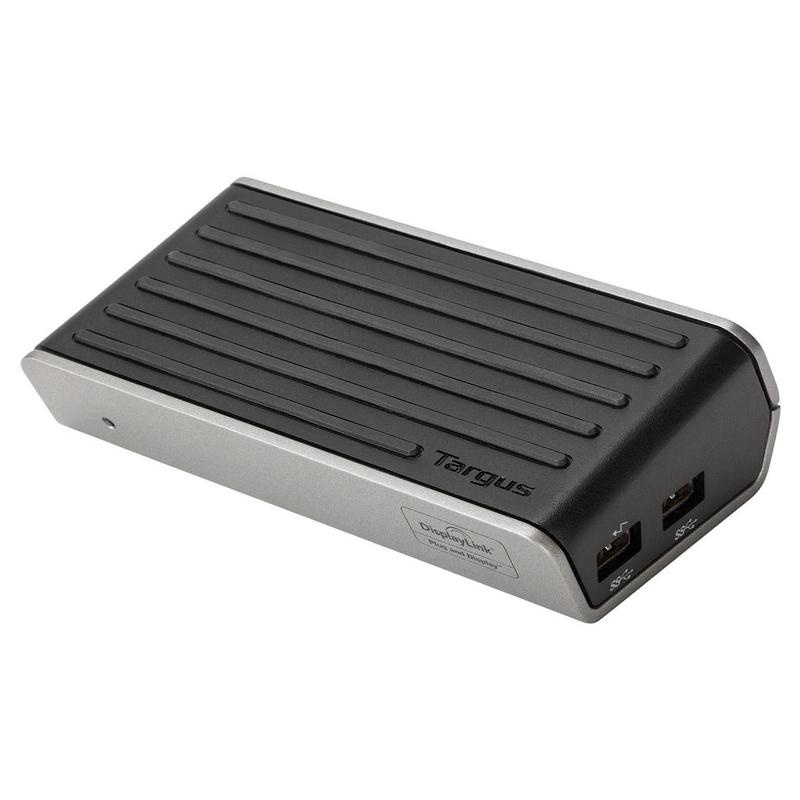 Targus Dual Video Universal Docking Station creates a productive dual monitor experience for the workspace. 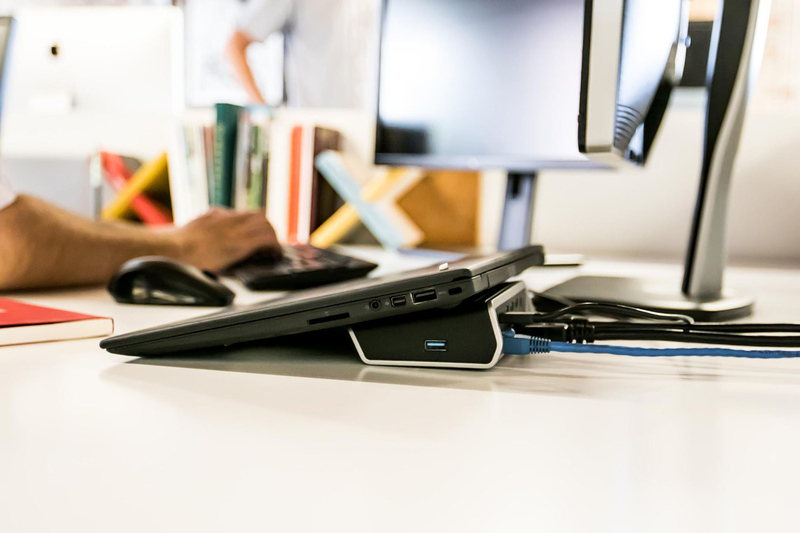 Connect laptops, tablets and smartphones to the dock via a simple USB connection and extend your screens by two, device connectivity by 4 USB ports and add an Ethernet port. 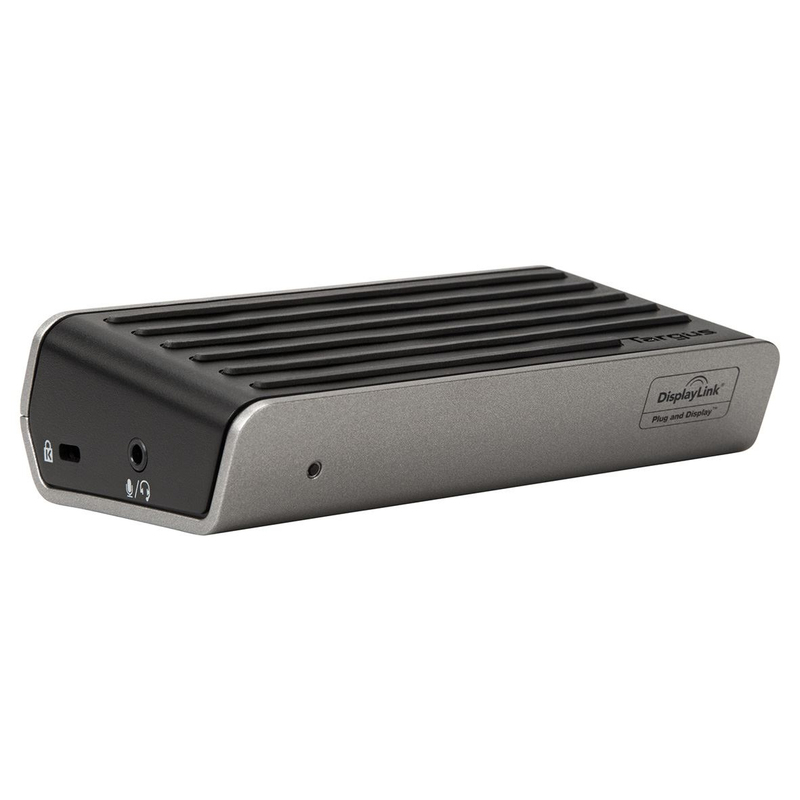 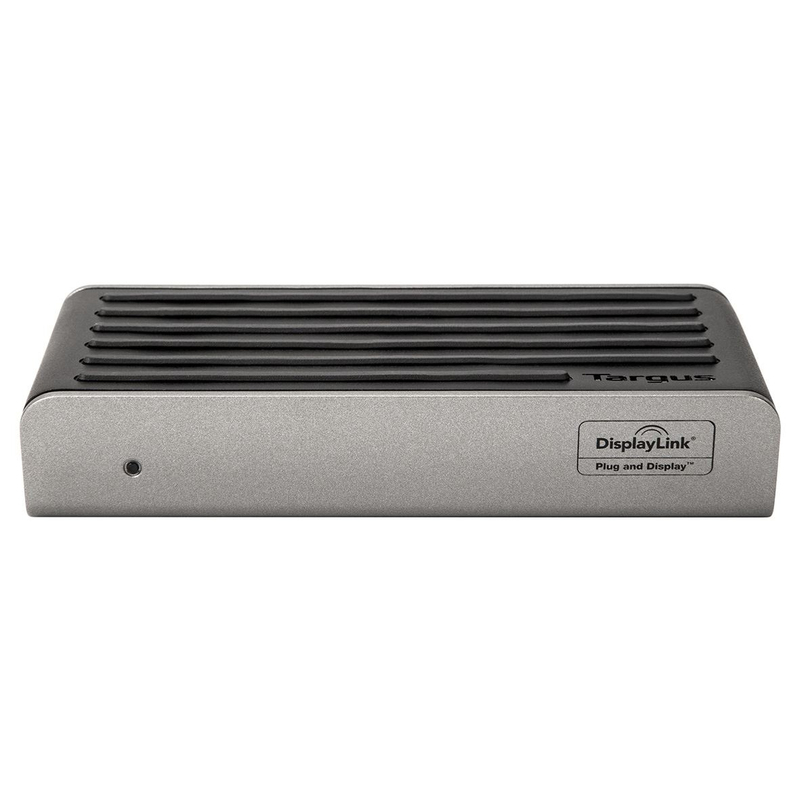 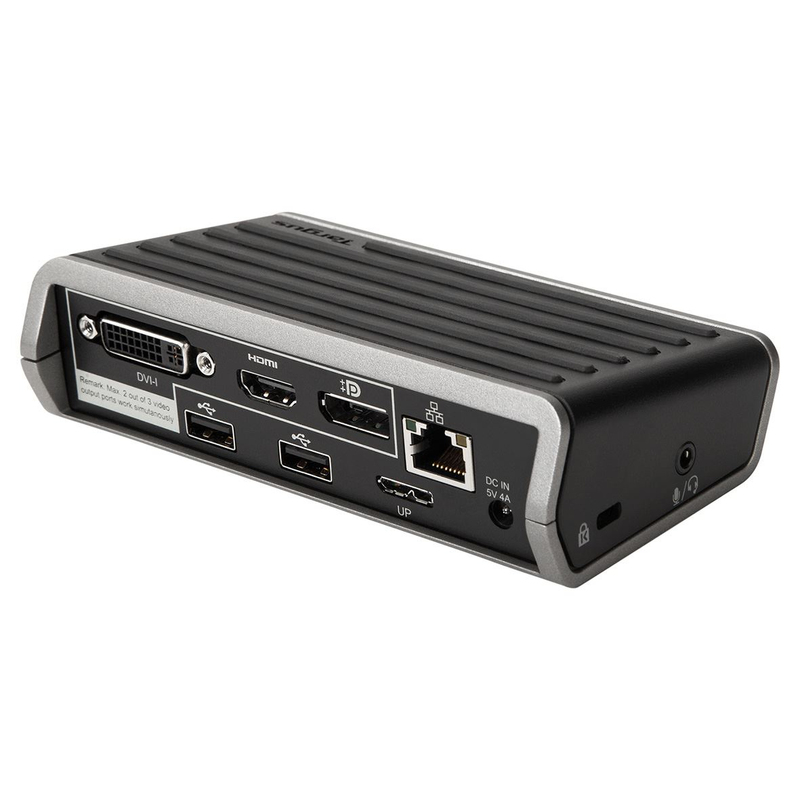 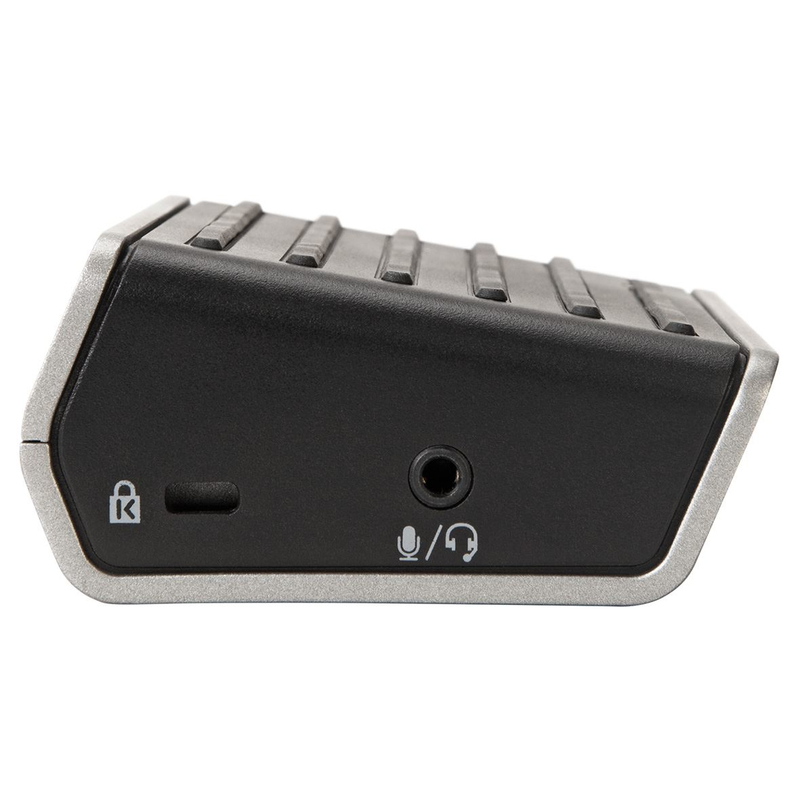 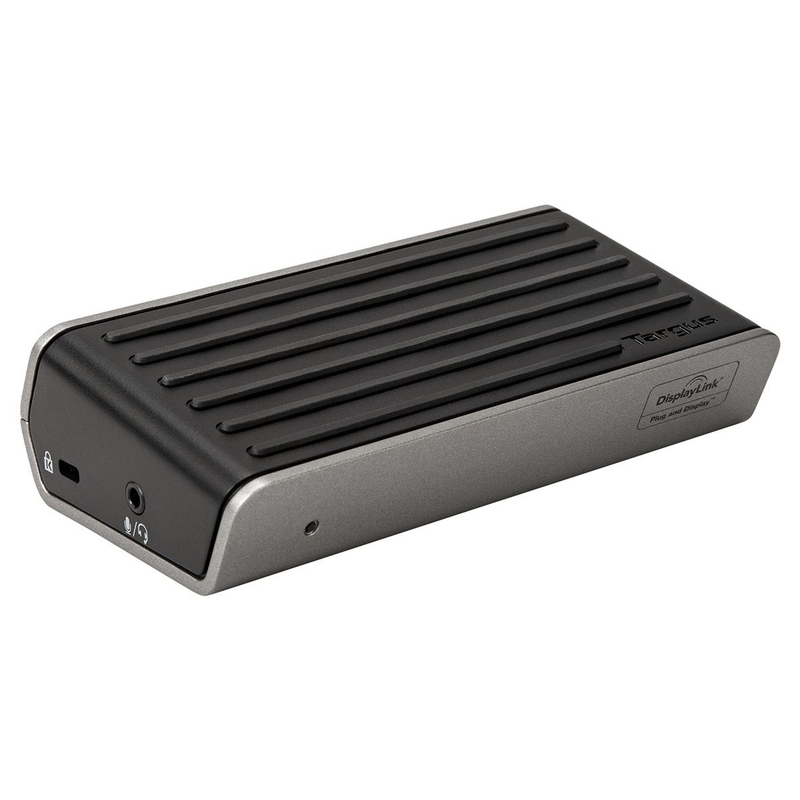 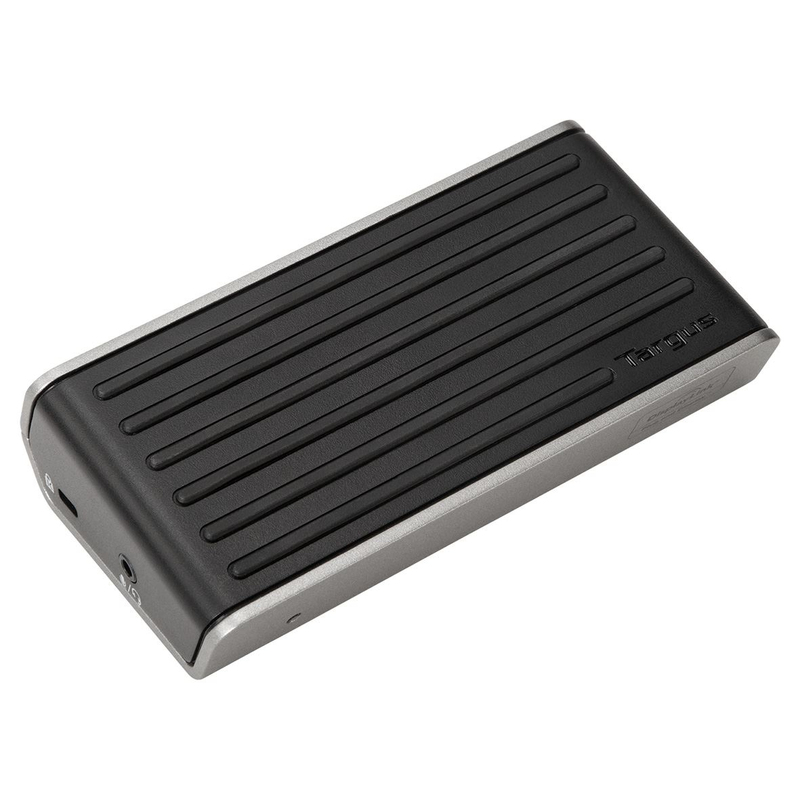 This universal USB Docking Station ensures current and future hardware fleet compatibility. 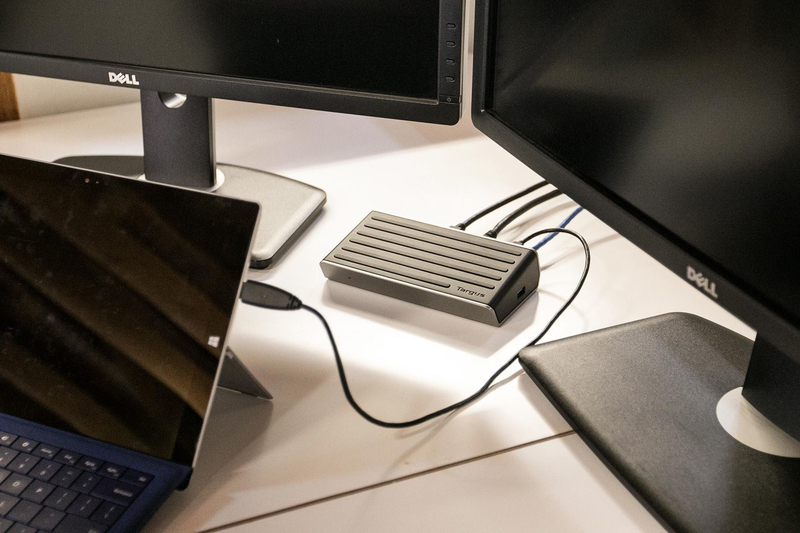 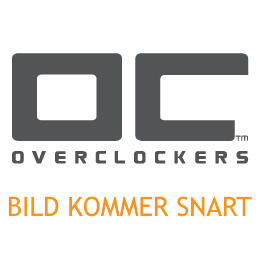 The most compact dock in the range and a sleek industrial design make this dock a sure fit for shrinking desktops and tight spaces with elements like stacked ports. 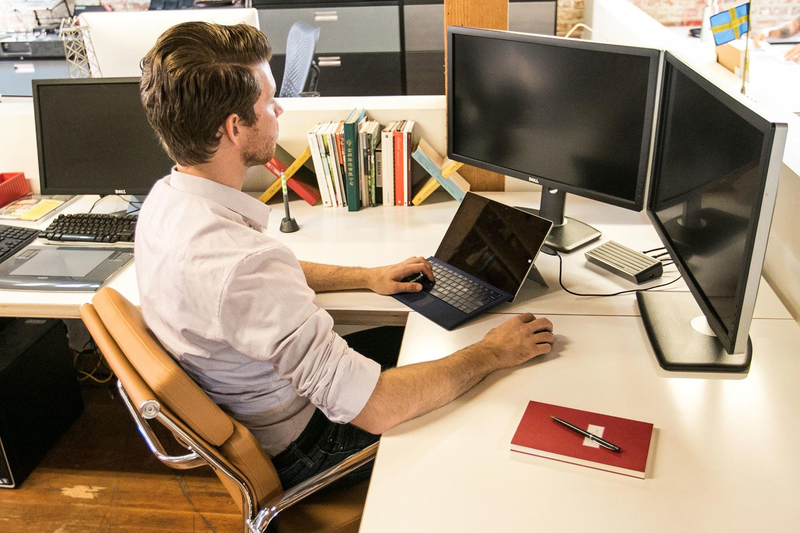 The raised grooves on the non-slip, angled top create a comfortable typing position for a laptop while offering passive cooling. 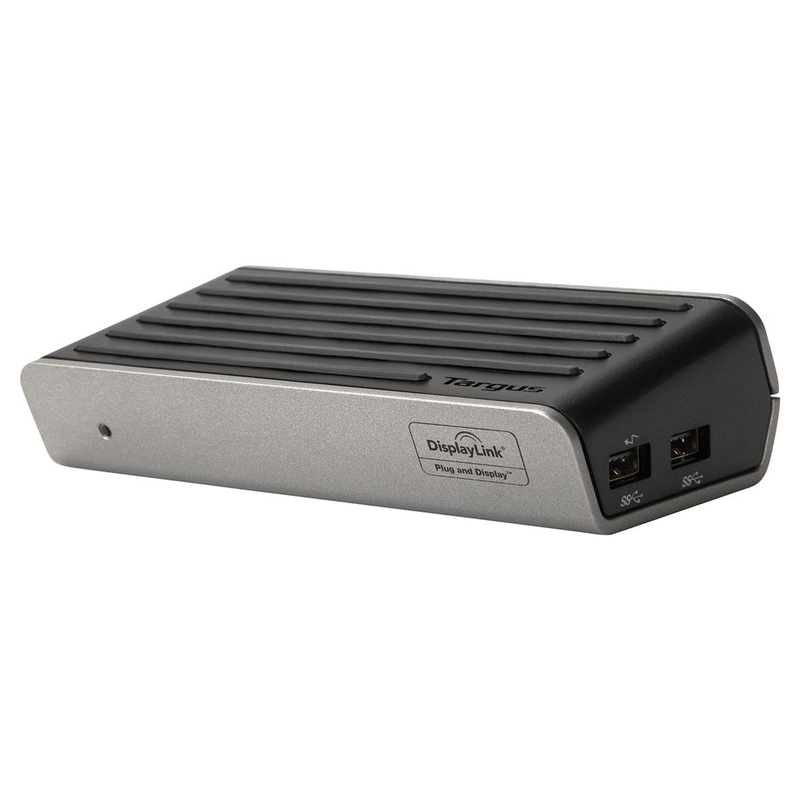 Three USB 3.0 SuperSpeed ports make it simple to add the latest keyboards, exterior hard drives, and other peripherals to customise the workspace experience. 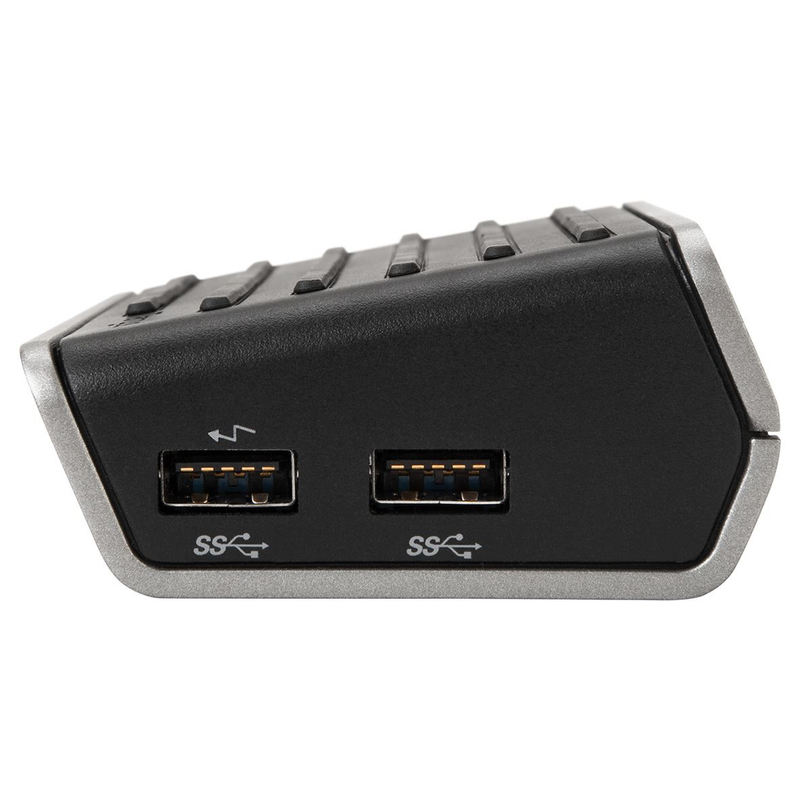 The dock also includes a powered USB 3.0 port for charging your smartphone. 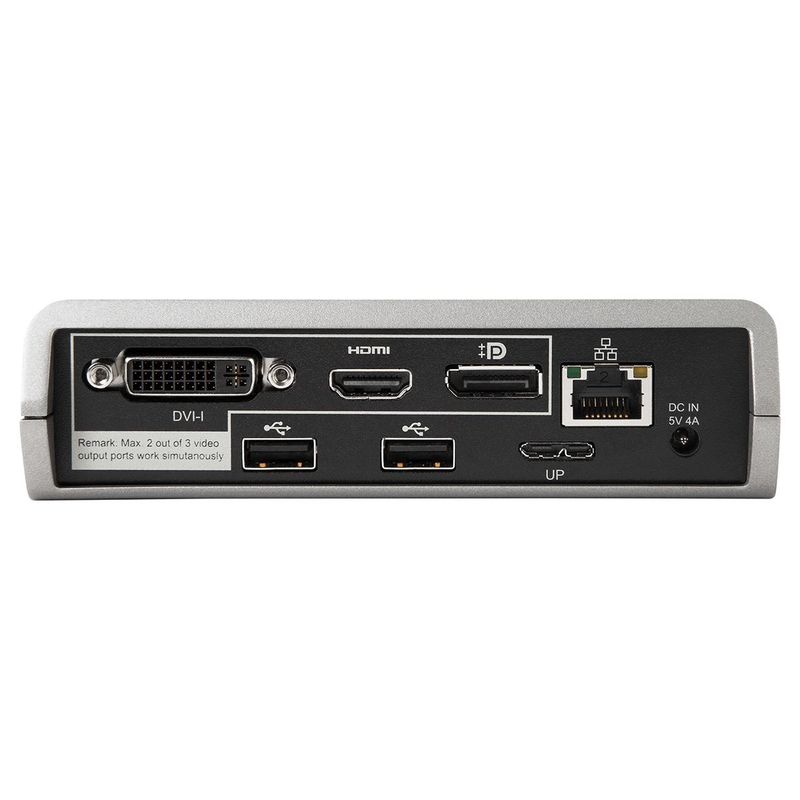 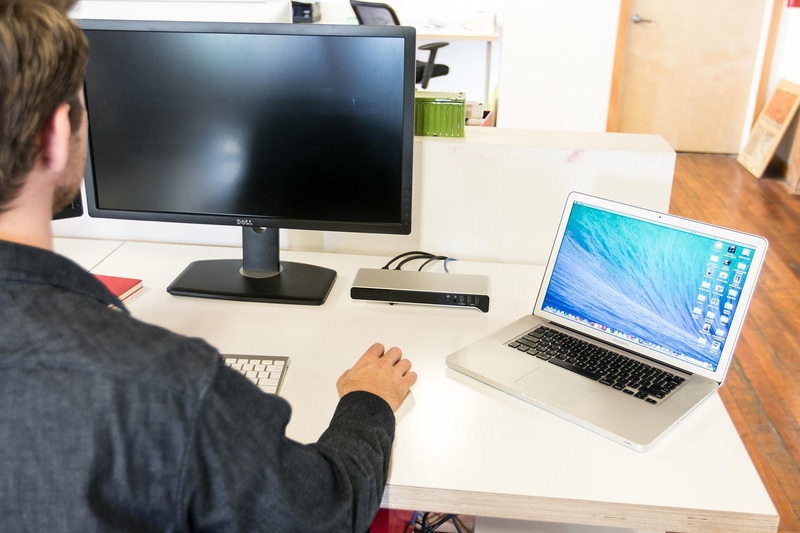 Unlike proprietary docking solutions which lock users in to a specific device and brand, the Dual Video Universal Docking Station, works with multiple platforms and operating systems eliminating the need to replace it at the next device refresh.